Magnolia Brush strip brush, medium stiffness bristles. Synthetic fiber locked in heavy gauge rust resistant steel channel. 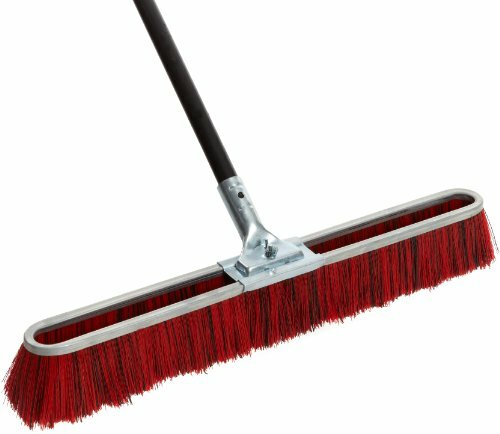 Lightweight and easy to use with the efficiency of a regular broom for indoor or outdoor use. Bolt on steel handle adds to durability. 3-inches trim length. 24-inches length.